Silk Road Music (Vancouver) was formed in 1991 by virtuoso pipa player Qiu Xia He(Chu Sha Her), who came to Canada in 1989 after teaching at the Xian Music Academy of China. With thousands of concerts around the world, the aim of finding the perfect musical moment still remains the goal. Weaving the 2000 year old Chinese Pipa into the magic carpet of music, while Andre Thibault is plucking the Spanish guitar and oud, Liam MacDonald striking the Brazilian tambourine and Ron Hadley pounding the Jazz piano, this concert sparks and boils like music is supposed to: Live! 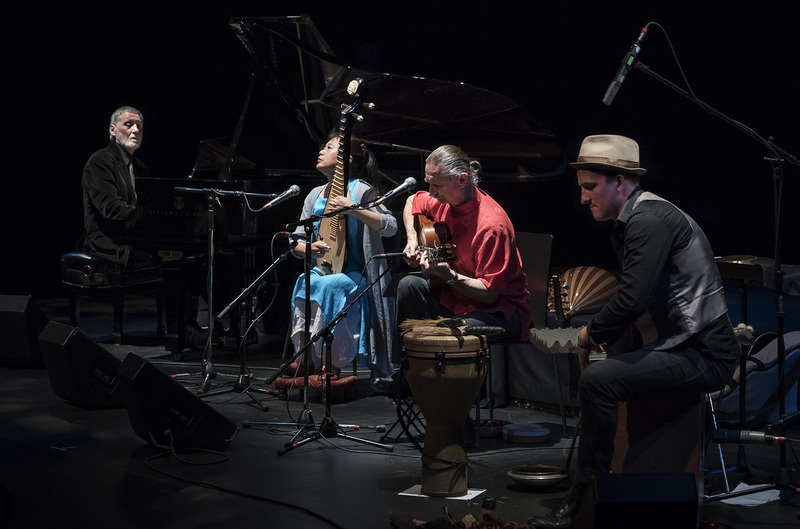 Silk Road Music’s goal has always been to develop new expressions for intercultural music, featuring compositions that enhance the understanding of Chinese and World culture. Its musicians explore and extend the range of the ancient pipa, from classical Chinese to modern works of their own and other composers. 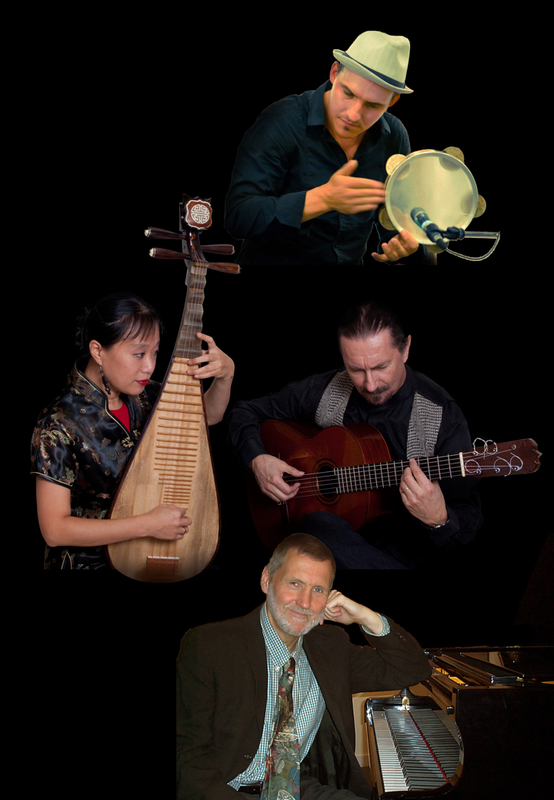 Silk Road Music is the only Chinese ensemble in Canada that has twice won a West Coast Music Award and also several Canadian music awards nominations. Its music has been featured on CBC, BBC International, Radio France. It has toured many festivals in Europe, US and Canada, including guest appearances with symphony orchestras such as Vancouver, Victoria, Calgary and Calispell Montana US. It also performed in hundreds of schools, senior centers and conventions around the World.